Will 2019 be the year of SD-WAN? With more than 60% of branch traffic bound for the internet, organizations are turning to SD-WAN to provide intelligent routing and to directly, quickly, and securely connect branch users to the internet and the cloud applications they need to do their jobs. Dan Shelton is an IT Executive and Change Agent with over 20 years experience in managing large multi-faceted global IT organizations. 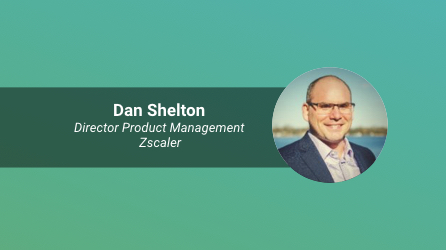 Prior to joining Zscaler, Dan served as the Senior Director for Global Networks & Telecom at Kelly Services where he led a large-scale, multi-phased Digital Transformation Program that leveraged several cloud-based infrastructure and security services to positively impact business operations across 900 locations in 22 countries.